Yes, I do watch this show. Was I ashamed at first? Yes,but this isn't your normal MTV show. This is a awesome show. I love the supernatural teen shows. Throw me a show with vampires, werewolves, or witches and I am a happy person. I do have to admit. The first season is kind of corny,but it gets much, much better. He is bitten by a werewolf in the first episode and of course turns into a werewolf. He and his friend ,Stiles Stilinski, try to figure out what the crap is going on with him and they eventually find out from Derek Hale what he is. 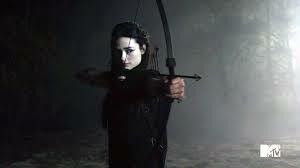 He ends up falling in love with Allison Argent,but it only lasts like one and a half seasons. He is Scott's sarcastic funny bestfriend. He helps Scott deal with all his crazy werewolf mood swings. Honestly, he is more like a brother. Personally, Stiles is my favorite character on the show. He likes Lydia Martin, but she doesn't give him the time of day. I think she is stupid. Who doesn't like a funny loyal guy? Allison is a awesome. She can pretty much use any weapon and is a trained fighter. Her family has had a long history of hunting werewolves. She soon falls in love with Scott and she finds out he is a werewolf she stops talking to him and keeps his secret. She finally gives up and they get back together,but it doesn't last. 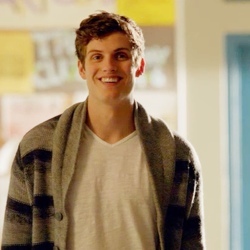 She ends up liking Isaac Lahey, yet another werewolf, and they kind of sorta get together. Lydia is her best friend. Lydia is Allison's best friend. She has a little bit of supernatural power of her on. She is a Banshee. She ends up in random places and finds dead bodies. She usually calls the gang and they find out who is killing people. She has many boyfriends throughout the seasons. I really wish she would end up with Stiles. 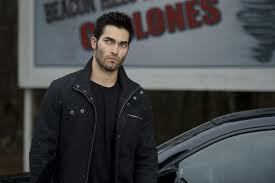 Who doesn't like a hot Alpha werewolf that drives a Mustang? Well, I don't really think he is that hot, but other people do. He tries to help Scott control his new powers,but they are leery of him at first. He ends up becoming friends with them and ends up helping them a lot. He is turned by Derek. When pretty much all of Derek's "new" pack gets killed,except for him. He is my second favorite character. He likes Allison, and again they kind get together. Scott and the friends accept him into their little group and they all figure out how to get rid of the newest problem. Isaac has a sad backstory that includes a freezer. 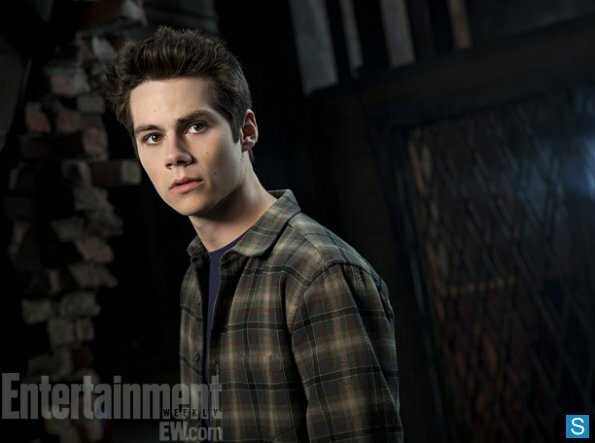 In the season three mid-season finale, Stiles, Allison, and Scott sacrifice their lives to save their parents from the psycho Jennifer Blake that tries to sacrifice them. They end up coming back,but they are totally messed up and they are trying to get back to "normal". I hope I didn't spoil anything for you and hope I explained it some. I like this show and suggest you watch it. Yes, there are some things in it,but it is a MTV show. Just use your brain. 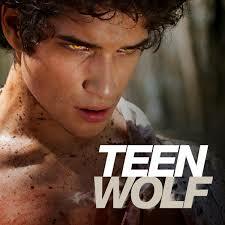 Check out Teen Wolf Mondays 10/9c on MTV. Okay, I started watching this show when It was almost two seasons in. Madison told me to watch this show about two hot vampire brothers. First I was like I'll give it a try. Elena's parents were killed in a car accident a couple of months before the show starts. She almost died her herself,but she miraculously survives. It turns out Stefan saved her from the car,but he couldn't get her parents. She is always trying to keep everyone safe and is often a martyr. She does stupid stuff, and the Salvatore brothers usually have to save her. She falls for Stefan,but she becomes friends with his brother Damon and they become friends. Soon they become a little more than friends and Elena falls in love with him. She turns into a vampire at the end of the third season. Because she loves Damon, and she is turned with his blood, she is sired to him. She denies her love for him for a long time,but she finally accepts in the middle of season four. This is Jeremy Gilbert. Elena's "brother". Jeremy is actually Elena's cousin which we find out later. He is a huge part in Elena's life. He dies, and is brought back from the dead,but he sees ghosts. He becomes a magical vampire hunter which causes problems. He is one of the few family members she has left. Besides her Aunt Jenna. She is their legal guardian and later dates Alaric Saltzman. Like most people on the show, she dies in the second season. 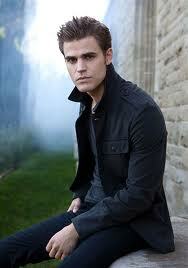 This is Stefan Salvatore. He is a vampire. He is Elena's boyfriend off and on throughout seasons one-three. I do not like him. He starts treating Elena like crap and is always acting like he is better than his older brother Damon. He does love his brother, even though he treats him like crap. 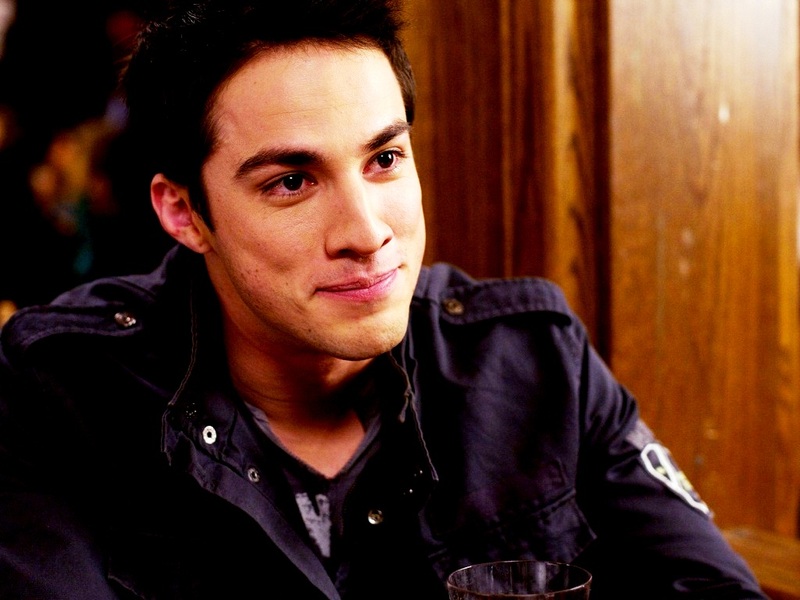 He goes with Klaus to get the cure for Damon when he is bitten by a werewolf. Werewolf bites kill vampires. Other than that, he is basically a big jerk to Damon. Until the later seasons. 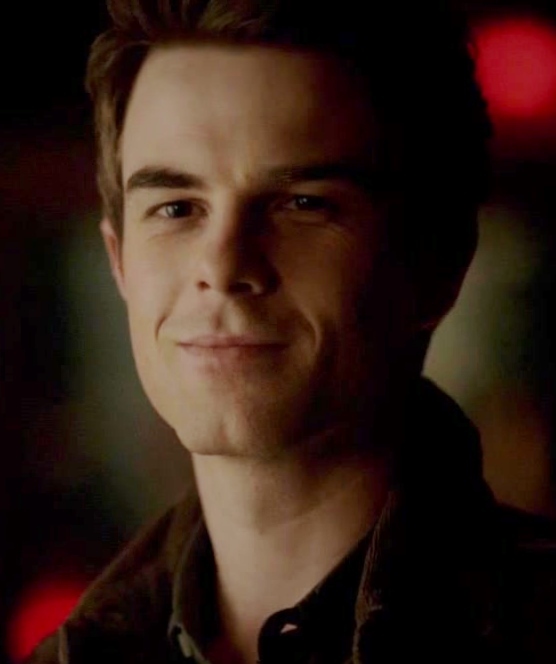 It takes him a long time to get used to the idea about Damon and Elena, and he still doesn't like it. This hunk of smokin' hotness is Damon Salvatore. My favorite character on the show. She is the one who turned both Damon and Stefan back in 1864. Anyway, back to Damon. Damon slowly turns back on his humanity during the first season,but it doesn't come on all the way until the later seasons. He slowly starts falling for Elena. He does anything to keep her safe. Sometimes he does insane stuff like forcing her to drink his blood when he thought she was going to die and having her friend Bonnie put a spell around her house keeping her inside. 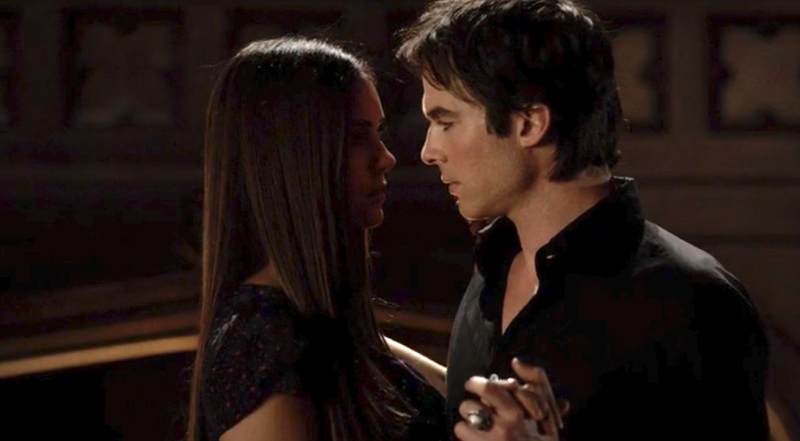 Damon finally wins her over at the beginning of season four,but there is a sire bond. Finally at the end of season four he gets the girl. He comes to Mystic Falls to hunt down the vampire who "killed" his wife. Turns out it is Damon. Damon kills Alaric, but he comes back with the help of the magical GIlbert ring, that brings people back after a supernatural thing kills you. 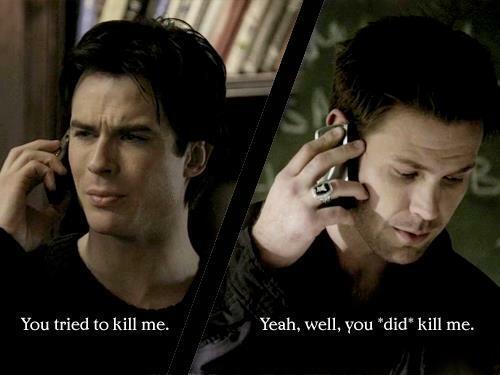 Alaric tries to kill Damon, but it doesn't work. Damon and Alaric become friends and they have one of the best bromances ever. This is Bonnie Bennett. She is one of Elena's best friends. Bonnie is a witch and has crazy powers. She ends up using "expression" which no one approves of. She has a odd relationship with Jeremy. I'm not really sure if you would consider it dating. Caroline is human. Well, in the beginning. When Damon had his humanity all the way off, let's just say they were "cuddle bunnies". Which is why Caroline hates Damon. Tyler is a human,but he turns into a werewolf. 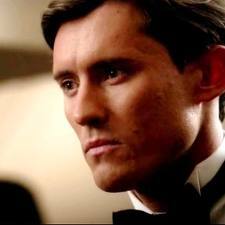 He is Caroline's boyfriend until season five. I don't like Tyler either. He is a big buttface. Matt is amazing! Matt is human,but I don't know how he still is. Everyone in this show starts out human,but they die or they become vampires,werewolves, witches, or in Jeremy's case hunters/ ghosts seers. Matt is also Elena's ex-boyfriend. Elena gets around. This is the Mikalson's. 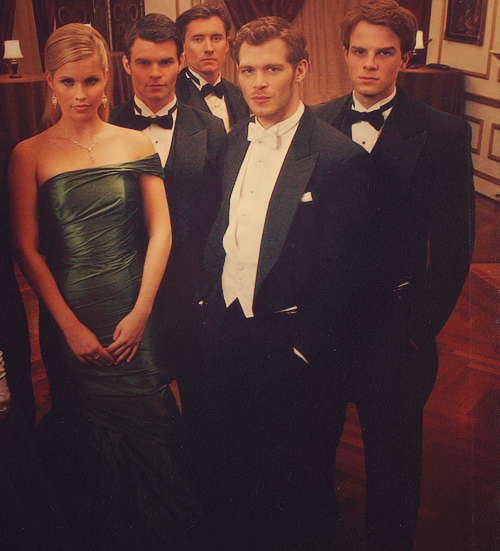 They are the Orignal vampires. They come into the show later on. This is Finn and Kol. They are both dead. The gang killed both of them. It turns out if you kill an Original you kill all the ones they sired. She has flings with Damon, Stefan, and Matt. She really does like Matt,but she almost killed him and killed Elena by making them run off a bridge. When you run off a bridge and kill their bestfriend and almost kill them, it is hard to forgive them. He is a hybrid. He is half werewolf and half vampire. He has a thing for Caroline,but she doesn't like him in the beginning. She starts showing interest in season four,but nothing ever comes from it because he moves to New Orleans. He promises her that he will come back for her though. He is a honorable man. He loves Katherine Pierce,but he ends up breaking up with her to follow Klaus to New Orleans. He is friends with Elena. She turned Stefan and Damon. 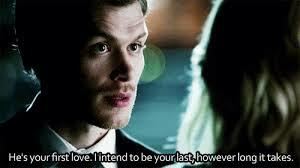 She compelled Stefan to love because she loves him. Damon loves her,but she doesn't love him back. She strings them both along and breaks both of their hearts. Elena gives Katherine the cure,which is in season four, and turns her human. This should catch you up a little on the show. I know it is a little long,but it is a very complicated show. Check out The Vampire Diaries Thursdays at 8:00 eastern time on The CW. Look at little nerd Chuck! Isn't it precious! Anyway the story behind Chuck is that he is a little nerd working at a Buy More as the manager over the Nerd Herders. When he was in college, he was kicked out for cheating, which was in fact planted on him by his roommate Bryce Larkin. One day he gets an email from Bryce who is in fact a CIA "supposedly" rogue spy. He broke into a top secret CIA agency and downloaded the Intersect, and then blew up the computer containing the data. Bryce sends the secrets from the Intersect to Chuck in an email which Chuck opens. When Chuck opens the email it contains tons of government secrets embedded in pictures. 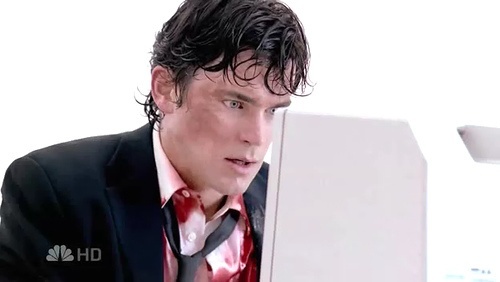 When Chuck saw the pictures the Intersect downloaded those secrets into his brain like a computer. We think that Bryce died but stay tuned for later! 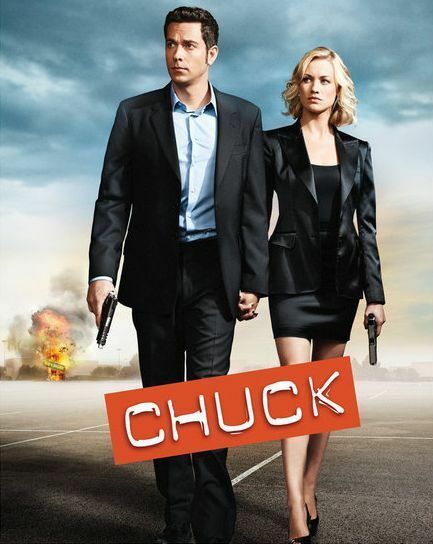 Anyway the NSA and CIA both send agents to watch over Chuck because he holds the USA's most valuable secrets. Their names are John Casey from the NSA and Sarah Walker from the CIA. This is Casey. He is pretty much the brawn of the show, but he isn't dumb! I love him and especially when he growls it's hilarious. He also has a daughter that he doesn't find out he has until about the 3rd season I think. He also poses as a large appliance salesman at the Buy More for his cover. And this is Sarah. She goes undercover working first at the Wienerlicious then when they are bought out, she works at the Orange Orange. She also poses as Chuck's girlfriend but later actually falls in love with him and they get married... AWW! We also have Morgan Grimes. The most hilarious best friend ever and also later dates Casey's daughter Alex. He does in fact later join the spy team too so it's all good. Then there is Chuck's sister Ellie. She dating Captain Awesome aka Devon Woodcomb. She is a doctor and doesn't find out about Chuck til way on in the series. She does later marry Captain Awesome and they have a baby! AWW again! 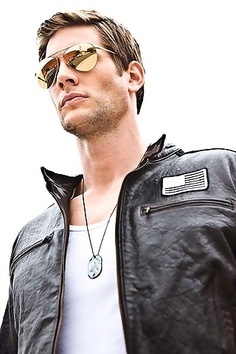 And then we have Captain Awesome, Devon, or just Awesome doesn't matter which one you wanna call him. He has that nickname because he always says everything is awesome and the fact well he is well....awesome. He is also a doctor too. Ellie and he met in med school and have been together ever since. Their baby girl's name is Clara. Now we have Chuck's coworkers. I am gonna try to get a picture with them all in it but we will see what comes up. Jeff and Lester are always together cause they are best friends. They are part of the Nerd Herders. There's also Big Mike the store manager later assistant manager because Morgan gets store manager later. He is also later Morgan's stepfather, which is kinda weird. I love gifs. They make me happy. Anyway long story short is that Chuck later got downloaded with the Intersect 2.0 and it allowed him to flash and do kung fu and all kinds of cool stuff. 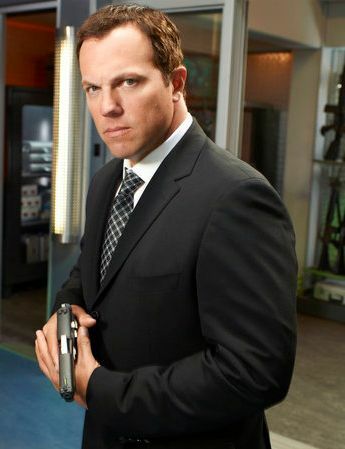 He later lost the Intersect and continued being a spy by having his own company with Sarah (now bartowski) and Casey. It was called Carmichael Industries i think....anyway. Morgan accidentally downloads a flawed Intersect into his brain where it starts to do memory damage and completely change who he is. They later get it out and then have a bunch of missions including Sarah getting the Intersect inside her brain and losing important memories and in the end she finally remembers Chuck. Now enjoy these Chuck gifs that I found. Look at little awkward Chuck! Hehehe. That's me when a hot guy waves at me. And this....well I don't even know but it's funny! Me making sure it tastes okay and that she isn't mad at me and hasn't poisoned me! And if you think I have used too many gifs, this is what I think. Oh and by the way Chuck is on Netflix check it out! This is my ultimate favorite TV show of all time and probably always will be. I have always loved Superman and I was so sad when it ended. 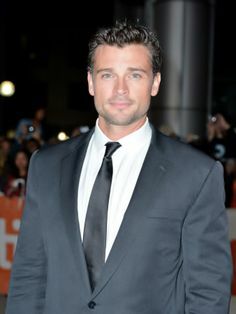 It also helps that there was always a stream of hot guys coming through Smallville. I mean who doesn't wanna meet Clark? Also we get to see Clark grow up from a dorky farm boy into a hot man. I mean Superman. First there's Lana Lang.....She is fine through the first two seasons then I want to do this to her. The reason I dont like Lana is she strings Clark along like a little puppy dog and won't ever let him go so he spends like 5 or 6 seasons hung up on her. Plus she starts out with a boyfriend. Whitney Fordman. Evil woman. She eventually marries Lex Luthor and then divorces him when she finds out how evil he is. Eventually Clark can't be around her cause she gets some kind of kryptonite thing surrounding her body so Clark can't be near her without it hurting him. Awesome right! Next we meet Pete Ross. Pete isn't around for very many seasons but he was Clark's other best friend. 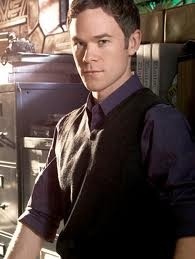 He leaves Smallville and moves to New Jersey in Season 3. Pete is Clark's guy best friend and is also a really good guy. He's loyal and will keep Clark's secret no matter what. 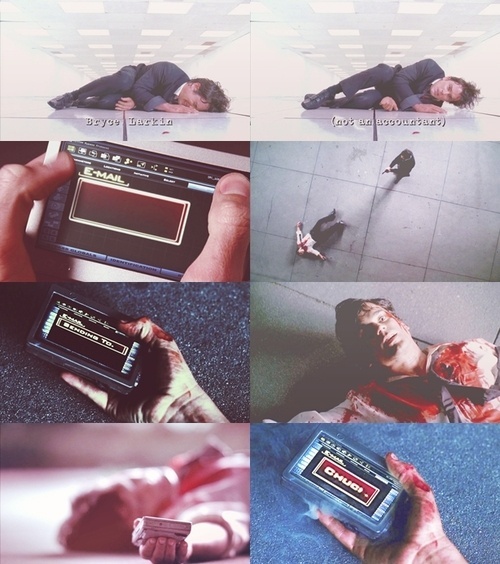 You will learn that EVERYBODY in Smallville practically knows what he can do. I mean really can't you keep a secret Clark? Next there is Martha and Johnathan.. You have to know who they are! They are Clark's parents and will always love and protect him! I love them and here they are! Sadly Johnathan dies of a heart attack in Season 5. Martha then becomes a Senator in place of her husband who won the seat but had died shortly after. Then we get to Lex Luthor. Lex starts out as one of Clark's other best friends but is slowly going bad because he is so determined to find out what Clark's secret is. Some times you like Lex then other times you just wanna do this. This is Lex, He is bald do to the fact that he was caught in the blast of the meteor shower that brought Clark to Earth. Lex supposedly died about 2 times once at the beginning of season 8 and once at the end but he is very much alive. He started out so good, but turned very evil. He is also the ex-husband of Lana Lang. We also have Lionel Luthor, Lex's father. 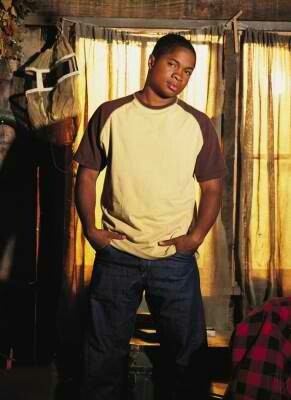 Yeah he's another baddie, but was occasionally good or pretended to be. In the end though he was actually a changed man and was good. He was killed by Lex pushing him out of a window of Luthorcorp and he died in result. This is Lionel. And yes this is a super long post but Smallville has had 10 seasons so there are quite a few important characters. Now there's Lois Lane! 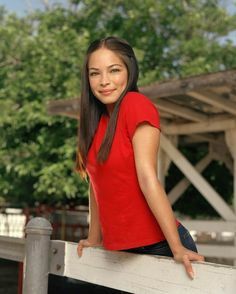 She joins Smallville in season 4. She is my favorite female star besides Chloe. She is actually Chloe's cousin. 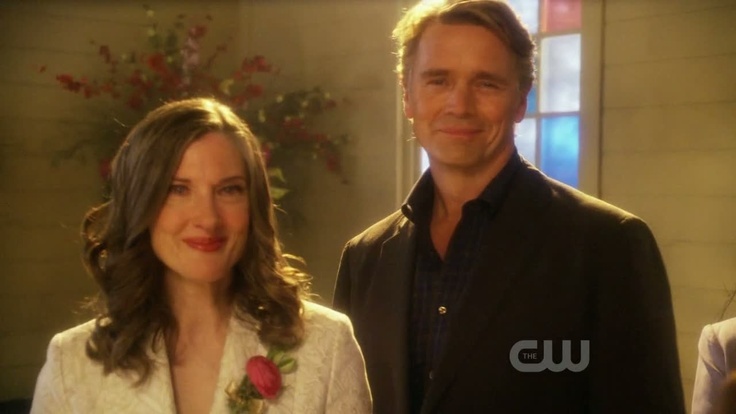 I love the fact she is such a smart aleck, cocky, always calls Clark Smallville, and the fact that she is the woman Clark ends up with! This is Lois! I mean look at her and Clark! They are adorable together! Please enjoy this slideshow of them. There's Oliver Queen...I like me some Ollie! He joins us in Season six. He starts out being Lois' boyfriend and ends up as one of Clark's and Lois' best friends. Also he is the Green Arrow. Don't tell anyone! Yes the shirtless pic is necessary. Below is Ollie in his disguise as the Green Arrow. His disguise also has a voice changer so they cant figure out who he is. Cause he's kinda of a big thing. He's a millionaire. Hold up ladies he's mine. Get in line. Wait I'm sorry, I forgot....he's married now. Darn. He actually married Chloe after she recovered from Jimmy's death. I am happy for them. Sort of. Last but not least is Jimmy Olsen. When I talk about Jimmy it makes me sad. Jimmy worked for the Daily Planet. Jimmy and Chloe fell in love and got married. They then separated and divorced due to the fact Jimmy couldn't deal with how protective Chloe was of Clark. He then found out Clark's secret and understood and they got back together. Here comes the sad part. He is fatally wounded in a fight with Doomsday and saves Chloe as he was dying by stabbing the now human Doomsday with a pipe and killed him. With Jimmy's dying breath he told Chloe he loved her. This is Jimmy. Look at him while recover from all those feels. That's about it! All I can think of for the moment. 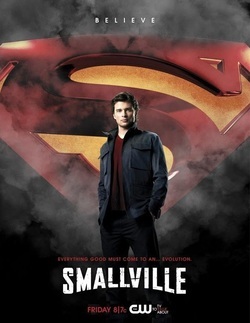 I hope you enjoyed this super long post and look for Smallville on DVD or find some online website somewhere so you can watch this awesomeness.